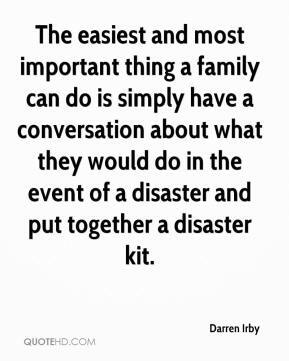 The easiest and most important thing a family can do is simply have a conversation about what they would do in the event of a disaster and put together a disaster kit. 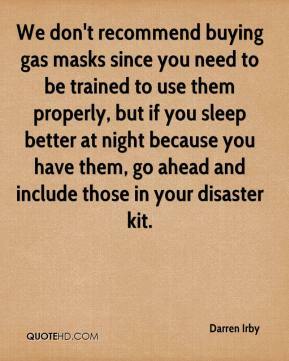 We don't recommend buying gas masks since you need to be trained to use them properly, but if you sleep better at night because you have them, go ahead and include those in your disaster kit. Working with celebrities has become, over the last decade, a lot more complex with so many more nonprofits engaging with celebrities.